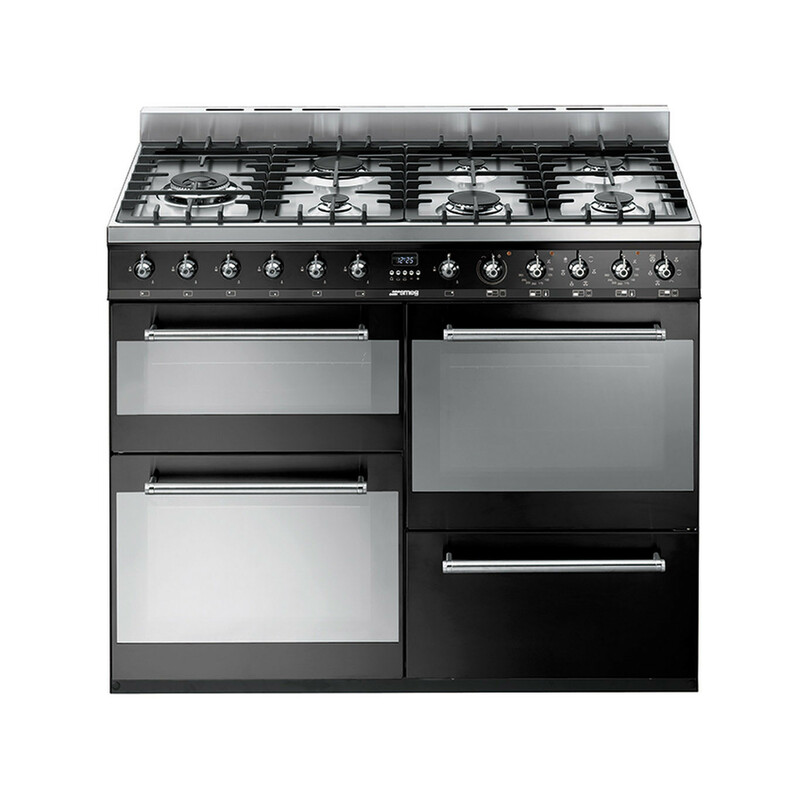 This dual fuel Smeg Symphony range cooker comes in a great 110cm width, this allows for 2 huge oven spaces, a grill, a storage cavity and a spacious 7 burner gas hob with great power levels on every hob for different styles of cooking. This is the essential cooker for the keen chef due to its large size and the huge amount of functions that come with it helping to enhance your cooking possibilities. One of the unique functions that helps to simplify and aid your cooking is the circulaire function this is a combination of the fan and circular element around it that gives the cooker a hot air cooking method. This provides many benefits including no preheat if cook time is more than 20 minutes, no flavour transfer when cooking different foods at the same time, less energy, and shorter cook times.